With the dawn of the New Year comes the rush of excitement at the opportunity to “start anew” in the coming months. Resolutions, goals and hard-core commitments are often laid out in front of us as the road map for the next 365 days. But for some this excitement leads to a crash like a child after all the presents have been opened. Our resolution battle cries for change slowly fade away and we are left with our list that becomes more of a reminder of what we didn’t do versus what we did. The idea of New Year’s resolutions are nothing new with historical accounts dating back to pre-Christian times (fun little history lesson for you here). With resolutions being around for so long, why do so many of us reach that critical drop off point after roughly 90 days? Haven’t we come up with the secret formula to allow us to sustain and endure throughout the entire year? Simply put, no, until now! I have worked tirelessly with countless physicists, math mathematicians and psychologists to come up with a foolproof algorithm for achieving all of your 2014 goals. Ready? Here is it is…(intentionally blank). Yeah, a let down I know, but the fact of the matter is goal setting and resolutions are very individualized and therefore need an individualized approach. With that being said I think it is important to redefine what it is you are trying to do and understand more about the underlying variables related to the changes you want to make. I find the term resolution to be a part of why we see less follow through. It doesn’t get to the essence of what is taking place. By definition a resolution is a course of action determined or decided on. So, this simply states that by developing a resolution you have decided to do something. Which is great and I commend you, but what if you set out on a New Year’s EVOLUTION? Evolution is defined as a gradual process in which something changes into a different and usually more complex or better form. This is the essence of what we are trying to accomplish is it not? We set each year to be more organized, to lose weight, save more, spend less, and be with our families more. All of these goals require a change, a change for the better and thus an evolution of you! When I treat patients there often is a spot or region of pain that has brought them into see me. Whether it is their shoulder, knee, low back or neck, most patients can clearly identify where they are feeling their symptoms. The interesting part though is that where they hurt may not be the true source of their pain. As complex as the body is, pain can emanate from remote structures and areas of our body and be felt somewhere completely different. It is because of this that as clinicians we need to do a thorough evaluation and try to understand the source of the condition not just where things are being felt. As you set out on your evolution I encourage you to look at your plan in much the same way. Let’s take losing weight as an example. The physical change we are hoping to create has many variables to it. Nutrition, sleep, hydration, exercise, stress etc can all contribute to our current physical states. So for us to make blanket statements like “I want to lose 25 pounds this year” we are only discussing the “signs and symptoms” not the cause. So the next logical step is to outline what it is going to take to lose 25 pounds. Changes to nutritional habits and exercising more will likely need to be a part of the equation. But go one step further. What drives your eating habits? Do you eat when you are stressed, depressed, bored? Does the lack of exercise stem from a lack of energy due to depression or poor sleep habits due to work related stress? My point here is that much like the physical conditions I see in the clinic, going into greater detail about the individual situation helps to understand more about why things are the way they are. For goal setting and true evolution it will be vital to have a deeper level of knowledge about the why so you can do what is necessary to truly evolve and not just resolve. I support everyone that talks to me about the plans for the New Year and hope that they all are successful in making the changes they are looking to make. If you are interested in an additional point of view regarding goal setting take a look at this 2013 article from Peter Bergman. This time of year is one of my most favorite times. The weather is cool and crisp, Thanksgiving and Christmas always take me back to fond childhood memories and it is a time to slow down a bit and reflect on the things that truly matter, like family and friends. But with this time of year also comes the craze and chaos of shopping for the perfect gift! The challenging part for me is the sense that some have of being “obligated” to buy someone a gift because that is what is “expected” of them. Now don’t get me wrong, I am all for giving gifts, but not under the pretense that this is what I’m supposed to do during the holiday season. Before I get to far off topic this concept of expectations also drives some of the different methods of patient care that I see being implemented. I have had conversations with clinicians where they discuss their clinical practice preferences based mostly on what is expected. In the world of health care we talk about Evidence Based Medicine. This model has three main tenants; the clinicians experience/expertise, the best external evidence and the patient’s values/expectations. Collectively these three pillars should drive what we do as clinicians. However, I feel that at times health care providers do most of what they do because they feel that is what is expected and they use less of their knowledge or what the current evidence has provided. I whole-heartedly agree that we need to meet our patients at some level and have a common understanding together. To me that is a huge part of the goal setting process that should be done with the patient. What we can’t do though is perform treatment just of the sake performing treatment. Much like the feeling of obligatory Christmas gift giving, our patient care needs to incorporate much more then expectations. I do support the idea of feeling obligated as a clinician. I feel obligated to push patient care to be the very best it can be. I feel obligated to help drive my profession and other clinicians to be the very best we can be. These are the things that I feel are “expected” of me and I hope that as we enter into the new year more and more patient care is centered around this as well. I can understand if you glossed over the other parts of this article, it did get a little nerdy and a little dense. However, you’ll want to perk up and take note as we explore how pain can impact performance and why we don’t want to wait to address the problem. We all know from experience that when something is painful we tend to move differently. The way we walk, how we reach for something and even our posture is altered to avoid pain. These changes occur on a conscious and a subconscious level. Muscle inhibition refers to the idea that a muscles activity is decreased with the presence of pain. It is theorized that this occurs as a protective mechanism to reduce further trauma to an area. Several studies have looked at maximum voluntary contraction in painful muscles and found that output was significantly less then the non-painful muscles on the opposite limb. It has also been noted that when pain is present in a particular region there is an increase in activity of the functional antagonist, or muscle group(s) that produces the opposite action (think relationship of biceps to triceps). This can lead to changes in movement patterns and motor control and trigger a whole set of different issues. If the pain persists long enough muscle atrophy may occur, tolerance to fatigue is decreased and balance/coordination can diminish. The inability to lockout the clean and jerk may not be related to shoulder range of motion but the persistent shoulder pain that is experienced every time the arm is raised overhead, resulting in a weaker and uncoordinated system. How about a muscle-up that becomes significantly more difficult during the transition and dip phase because the triceps are weaker to one side due to elbow pain. Bottom line, pain can lead to poor performance both physically and mentally. Pain has the ability to impact our ability to concentrate, sleep, alter mood and decrease our appetite. All of which will further impact performance. Do you see the dangerous little cycle we can get into when we don’t address pain? A persistent, nagging, unaddressed issue often times wont fix itself and has the ability to quickly snowball into a much larger problem. The question then becomes, what do we do if we have pain? The answer, it depends. A let down I know, but it is important to remember each experience is fairly unique and all variables need to be taken into consideration to determine the best possible treatment. However, there are several things that we can do to reduce pain and return to optimal performance as quick as possible. Treatment or at least a consultation as soon as possible. In the acute stages of an injury there is a cascade of events taking place to help protect the injured site as well as assist in recovery. Things such as swelling, redness, bruising, weakness and of course pain are often associated with acute trauma. It is important that we accurately and quickly provide a clinical diagnosis that will start you on an early intervention protocol. Early treatment can make the difference between an ankle sprain that takes seven days or seven weeks to recover from. Connect with a qualified health care professional such as a physical therapist, chiropractor, athletic trainer or coach. If that person is not sure how to manage the condition, they likely have a great network of people that can get you on track and started as quickly as possible. Consultation whenever possible. Even if you missed that acute phase and cruised through the subacute phase without talking to anyone, you should remember it is never too late to get good quality advice and treatment. Chronic, persistent pain states have a myriad of factors associated with it, but sometimes a few simple suggestions can make all the difference. 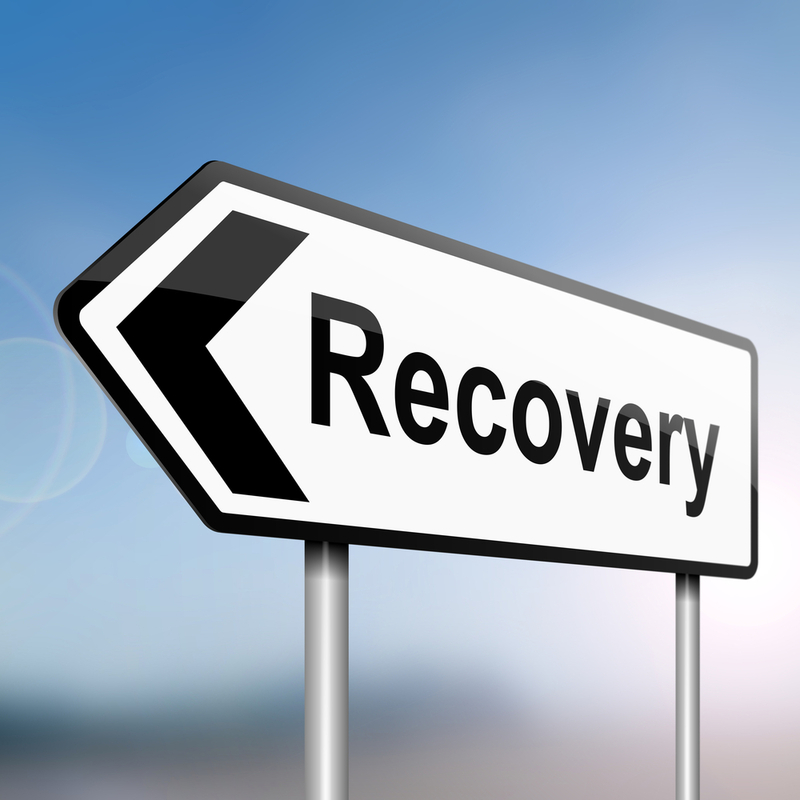 On the flip side, a quality evaluation can provide you the level of detailed treatment and the self-management tools needed to get you on the road to recovery. Avoid painful activities or movements. If reaching back into the backseat of your car brings on shoulder pain, don’t do it. Stairs make your knee throb, take the elevator for a little while. The more frequently we stimulate the area the more sensitized it can become. This can lead to elevated pain levels, pain lasting longer then it should and delayed recovery. If a particular lift produces pain modify the technique or find an alternative. Staying active is true in most cases as long s you are adhering to the concept of avoiding painful activities. The body thrives on movement, so you can stay active and let the painful area of your body get some relative rest. There is no reason why you can’t continue to move and train as long as you are attentive to how it makes your body feel. Refer back to the hurt vs. harm concept. There will be times things won’t feel that great but it doesn’t mean you have done any long lasting trauma to your body. When in pain, deal with it. Don’t put off taking care of that ache in your shoulder or knee for three or four months only for it to be getting progressively worse. Refer back to the section on chronic pain. Acute pain often is a much easier animal to deal with then a persistent six-month-old problem. Remember, What you feel isn’t always what you get. Numerous clinicians have done an incredible job getting people to recognize some of the positional and movement issues we see in training. These concepts are also valuable for painful conditions. The fact that your shoulder hurts with overhead squat may have more to do with the poor mobility of your thoracic spine and your hips then with the shoulder itself. So, while you take time to actively rest your shoulder you should get with someone that can give you a good assessment of the mobility problems and strategies to help manage them as well. There is also the possibility that the discomfort you feel is being referred from another area on the body. Medial knee pain can emanate from the hip just the same as an elbow problem can be improved by treating the neck. The site of pain may be the noisy victim while the silent culprit continues to go unidentified. If you ain’t sleep’n, you ain’t recover’n. This goes without saying but it is very important that you recognize the importance of proper sleep when it comes to recovery. If you are dealing with a particular issue that disrupts your sleep you may need to look at your sleeping position to avoid rolling or laying on that side. Pillows and blankets can be used to place your body into a position of comfort. Certain “soothing” techniques such as the shoulder pendulum or gentle repeated low back extensions might ease your symptoms as well, allowing for a more restful night sleep. Nutrition and hydration is the cornerstone to anything physical. Regardless of the type of nutritional intake you subscribe to our bodies need to be fed and hydrated to recover. High quality fats, antioxidants, proteins and amino acids are vital for tissue healing. Maintaining proper hydration levels can allow for proper tissue hydration levels and fluid transportation. There are also foods that tend to be considered “inflammatory foods.” Dairy, alcohol, sugar and refined grains can contribute to the inflammatory process and elevated levels of discomfort. Foods such as sweet potatoes, blueberries, kale, cabbage and wild fish fat can help reduce inflammation. For more details regarding dietary recommendations I would suggest you talk with a registered dietician or naturopath that can help direct you on your individual needs. Pain is not selective to just athletes or someone who sits at a desk. It does however have the power to quickly control our lives. The old adage “No pain, no gain” doesn’t fly anymore and not listening to what our bodies are telling us can only get us into trouble later. Above all else make sure you are taking an active approach to dealing with your condition and working collaboratively with a skilled clinician to help address your individual needs. Pain is in the brain 100% of the time. Let me say that again with several dramatic pauses. 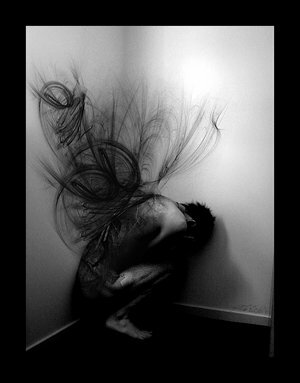 Pain, is in the brain, 100% of the time. This statement isn’t meant to offend or call anyone “crazy.” Well, given the level of self-inflected torture that most of us put ourselves through we are likely a little off somewhere. But that is a different conversation for a different day. This statement comes from Lorimer Moseley one of the leading researchers in a field of study that is commonly referred to as neuroscience. Dr. Moseley and David Butler have spent the vast majority of their careers trying to understand the complexity of pain and how it has such a wide variance amongst people. Pain is a very normal experience that often occurs as a protective response to some type of stimulus to our bodies. Sprains, strains, broken bones and sore muscles can all signal a cascade of events in our bodies that create the pain experience that is ultimately registered in our brains. This highly complex, primitive process, is designed to alert us to what the brain perceives as a threat and to get us to take action to protect itself. The concept of pain and pain management is a widely studied area of medicine and can get very dense very quickly. I will do my best to keep the “nerdiness” to a minimum but provide you with a solid idea of how we generate pain, how that impacts performance and what you can do about. Cuts to the hand, muscle tears and low back injuries all share one thing in common, they hurt! Although they are all described by the term pain, the way in which the body has generated the pain signal is significantly different. To better understand pain and how this relates to us as athletes we need to define several key components. Pain is a very general term. Everything from a sprained ankle to a paper cut is often referred to as being “painful.” But the process to generate a pain response is unique based upon the type of stimulus and structures that are involved. Nociceptive pain, neuropathic pain and visceral pain are all terms used to describe the types of pain we experience. Acute and chronic reference the amount of time pain has been present. Nociceptive Pain is generated by stimulating specialized nerve endings called nociceptors. There are two subgroups of nociceptive pain, somatic and visceral. Somatic pain is a type of nociceptive pain response that is common with injuries such as a sprained ankle or a muscle strain. Visceral pain is brought on by stimulation of nociceptors in organs and can be described by aching and squeezing. 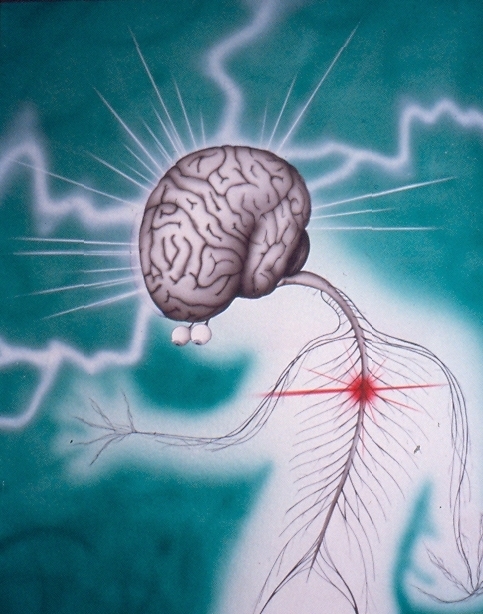 Neuropathic Pain is often the result of nerve damage or irritation. Symptoms are often described as burning, tingling, electrical and stabbing. A true case of sciatica, irritation to the sciatic nerve, is an example neuropathic pain. Acute, subacute and chronic pain is defined in terms of duration. While some authors will vary on their definitions, it is mostly accepted that acute pain is 0-3 months in duration and anything greater than 3 months is considered chronic. Subacute pain will sometimes be referenced as a subset of acute pain and is defined as anything greater then 6 weeks but less then 3 months. Our bodies are equipped with a vast neural network that serves very unique roles and functions. Chemical, thermal and mechanical stimuli can trigger the millions of tiny sensors that line a nerve. In order for a nerve to be stimulated a specific threshold needs to be exceeded. That means that the nerve needs to receive a sufficient amount of a particular stimulus in order to be trigger. To see this in action, picture a ten-pound kettle bell resting on your foot. Uncomfortable yes, but not enough mechanical stimuli to generate a pain response. Now, same kettlebell dropped onto your foot from only a few inches up. What happens? The weight of the kettle bell stimulates a ton of these mechanical sensors that activate the nerve that will produce a signal that travels to the spine and then up to the brain. Now here is where it gets really “groovy” as Dr. Mosely likes to put it. The stimulus from your foot alone is not enough to generate a pain response. Once the signal has reached our brain, it will go through an incredibly detailed process to determine an appropriate response. Within milliseconds your brain will take in information about the situation from your eyes, nose and ears. It will recall past experiences that may be similar in nature. Even our current mood, state of stress and perception of the situation is factored into the equation. 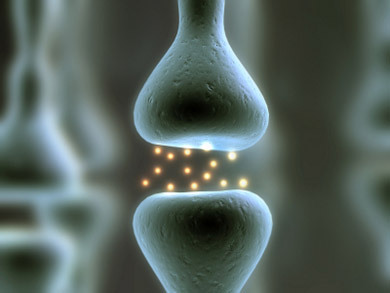 There is no “pain center” in the brain so this process requires rapid communication amongst various parts of the brain. Ultimately your brain will need to come to a decision about the situation and if the experience warrants a pain response or not. If the answer is yes, a painful response is produced and action is taken. In this case it will likely be a quick jerk of the foot followed by the not so graceful “walking it off” limp. If the brain doesn’t feel the situation requires any significant type of response then there is no pain and the kettle bell rolls to the floor. Sounds simple enough right. I drop something on my foot, foot hurts, I move foot and curse wildly. Well not exactly. Did you catch the part about perception, mood and stress influencing the pain experience? The amount of pain you experience doesn’t always reflect the amount of tissue trauma. A key element to what we feel is dependent on how we perceive the situation. We have all heard of stories of military personal returning back to base after taking enemy fire only to then realize they had been wounded. But how is that possible? Didn’t those mechanical and chemical nociceptors produce a pain signal that went to the brain? They sure did and lots of it. But the brain, in its infinite wisdom, recognized that there were more pressing issues at hand (an understatement) and produced a response that diminished the pain response to allow the soldier to attend to what was necessary at that moment in time. Another way to think about this concept is with the idea of hurt vs. harm. During any given day we will find a variety of things that we would say hurt. Work activities can hurt, stretching can hurt, even therapeutic exercises can hurt. That doesn’t mean any tissue trauma has occurred though. Harm is when we see trauma occurring to a region of our body and this is what we want to avoid. That is why it is vital as an athlete for us to have a good sense of what is going on with our bodies and seek quality information about any injury or physical issue. A well trained physical therapist, coach, chiropractor or athletic trainer can not only help you better understand what is going on but can also limit your Google searches which can lead to misinformation or inappropriate treatment. The human body is an incredibly complex, efficient and resilient machine that is built for one thing, movement. Yes, I understand that movement is a very general term but when you look at everything that we do it relates to some element of movement. Whether it is a fine motor task like sewing or typing or a large complex movement like swinging a golf club or swimming, our bodies thrive and strive to move. In recent TED talk Daniel Welpert discussed the idea that the sole purpose of our brain is to create “adaptable and complex movements.” Food for thought, but some of the most basic elements of the human body, digestion, circulation, respiration and joint health all rely on movement. I’m not suggesting that these processes are simplistic by any means, but they are basic systems of our body that require movement as a component of how well they function. As a physical therapist and a movement specialist, one of the things that I commonly address in my practice is how to keep someone moving. Most of my patients seek my advise to help deal with some element of pain and dysfunction that always relates back to movement and the impact it has on their day-to-day life. The pain in their shoulder limits their ability to raise their arm and now they are having difficulty washing their hair. Or the catch in their knee doesn’t allow them to bend it as much as they need to and now they can’t go up stairs without pain. By having a better understanding of how joints work, factors that negatively impact a joint and ways to maintain good joint health, it will become clear that proper movement under optimal loads can help us reduce some of the factors associated with joint pain. There are various joints in the human body that are named based upon their shape, function and contents. Comprised of synovial fluid, articular cartilage, articular capsule, synovial membrane, ligaments, blood vessels and nerves, synovial joints represent the majority of the joints of the upper and lower extremities. These joints rely substantially on joint loading as a way to stay healthy. The cartilage of synovial joints can be thought of like a dense sponge that is absorbing the fluid in the joint to maintain optimal health while slowly releasing naturally occurring waste products for our bodies to remove. When we stand we load the knee joint and this compresses the cartilage, squeezing out additional waste. As the load is released the cartilage has the ability to absorb additional nutrient rich fluid. This process is carried out constantly as we load and unload our joints throughout the day and is necessary for our joints to function optimally. Proper joint health requires a certain amount of compression and movement, but what happens when the load is excessive or beyond the body’s ability to control? Elevated BMI, muscle weakness and decreased joint stability have all been linked to pain and dysfunction in joints. In recent study it was noted that women with an elevated BMI, >30, had a risk of 24% for developing knee OA compared to those with a BMI 5 points lower had reduced their risk to 16%. Inadequate dynamic stability, the ability to control joints during movement, can increase the likelihood of shear and compressive forces on joint surfaces. Overtime this has the ability to cause pain, dysfunction and may contribute to early osteoarthritis. These undesired movement patterns can be related to muscle weakness but external variables such as shoes can also impact the forces that our joint experience, particularly the foot/ankle complex, knee, hip and spine. Movement is a necessary component to keep a joint well hydrated, lubricated and the tissue in and round the joint mobile, allowing for pain free movement. Given that we know of the various types of factors that can negatively impact our joints here are several key elements to proper joint health. Mobility of muscles, the nervous system and joint structures is vital for proper movement of the human body. You need to have proper mobility before you can even think about loading the body with more force or weight. Poor mobility, leads to poor form, which can leave you susceptible to preventable pain and injury. Move and move often but find a suitable form of exercise that your body can adequately perform without pain. Be aware of how much activity you are doing in a given workout or during a given week to avoid over training. You can exercise daily but by varying your intensity you can give your body necessary “active rest” to allow for proper physical recovery and healing time. Shoe type will vary depending on your foot and body structure. Not everyone needs to or should be in a minimalist shoe. But not everyone needs an arch support either. Proper fitting by a knowledgeable health professional or shoe specialist is key. And if high heels are in your closet, pack them up and ship them out! Too many reasons to list here but your feet, ankles, knees, hips and spine will thank me. Stop by Therapydia Portland on October 26th from 11am-3pm to celebrate our official launch! Enjoy some delicious food truck bites, mingle, and learn more about our innovative approach to treating musculoskeletal injuries, including hands-on manual therapy, mobility and movement assessment and patient specific exercise. In 2005, former Navy SEAL commander Randy Hetrick introduced a new training method called TRX to the fitness world. After serving his country for 14 years, Hetrick discovered that a simple set of sturdy straps – upgraded with cushy handles and new hardware that optimizes home training – could greatly increase mobility, flexibility and core strength in its users. That was then, but this is now: TRX is one of the most popular, up-and-coming, efficient ways to re-program your body’s core muscles and movements without hitting the gym. In fact, many of these isometric exercises accomplish what gym workouts sometimes never address. Jason Villareal, Therapydia Portland’s clinic director, employs TRX in his physical therapy techniques. So for those of you who are curious about the methods and equipment, this short video from TRX helps illustrate how it works and its possible impacts. This video from the American Physical Therapy Association helps illustrate just how physical therapy works and why it can benefit a range of physiological issues — from joint pain and sore muscles to sports injuries and even “preventive” measure to avoid surgery. With physical therapy, you don’t have to end up on the operating table. One of the key differences between physical therapy and, say, visiting the chiropractor, is that physical therapy tends to be less intense. We tend to use less invasive methods to increase your range of motion and flexibility. We’re also a cheerleader for progress that’s with you every step of the way. What is pain, where does it come from, and how do I conquer it? These basic questions are essential to your recovery, and this clever video literally “illustrates” the finer points of preventing persistent pain. There are many things to consider. As you will see, it’s not as simple as popping a pill or hopping on an operating table. One must really look at the issue holistically, as if it were part of a larger picture, and use the latest evidence-based techniques to solve it. That’s what we do at Therapydia Portland. We’re new to the Portland physical therapy scene, but we’re not rookies. Clinic Director Joshua Zavertnik uses multiple techniques to guide your body to its ultimate goal of healing itself. But this process is a partnership, and it helps when the patient understands exactly what his or her body is trying to tell them.